Describing their findings as “humbling,” researchers who set out to create a “minimal genome” have concluded that the basic elements of life are enormously complex and remain full of unsolved mysteries. In an article titled “Design and synthesis of a minimal bacterial genome,” a team of more than 20 scientists share the results of years of research on cellular genomes. The scientists, in an attempt to better understand the basic requirement for life, took a bacterial genome and stripped it down of all genes they deemed unnecessary. That goal—to engineer a minimal genome with as few genes as possible—proved to be a difficult task. After designing, constructing, chemically synthesizing, and repeatedly testing the viability of bacterial genomes, the scientists finally produced a “bare-bones” bacterium. The only problem: it’s not so simple after all. 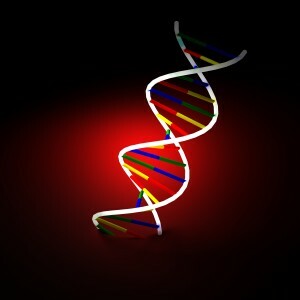 Not only is the stripped-down genome made up of 473 genes, but 149 of those genes are completely unknown. The fact that researchers do not understand such a significant portion of this minimal genome illustrates how little scientists know about life’s basic building blocks. “These are key biological functions affecting all of life that we don’t understand,” said Venter. Ann Gauger, a senior research scientist at Biologic Institute, says these findings underscore another important point: due to its sheer complexity, a minimal genome could not have sprung into existence without an intelligent designer. “Irreducible systems are evidence of intelligent design, because only a mind has the capacity to design and implement such an information-rich, interdependent network as a minimal cell,” she wrote. “It won’t happen without a designer,” Gauger concluded.